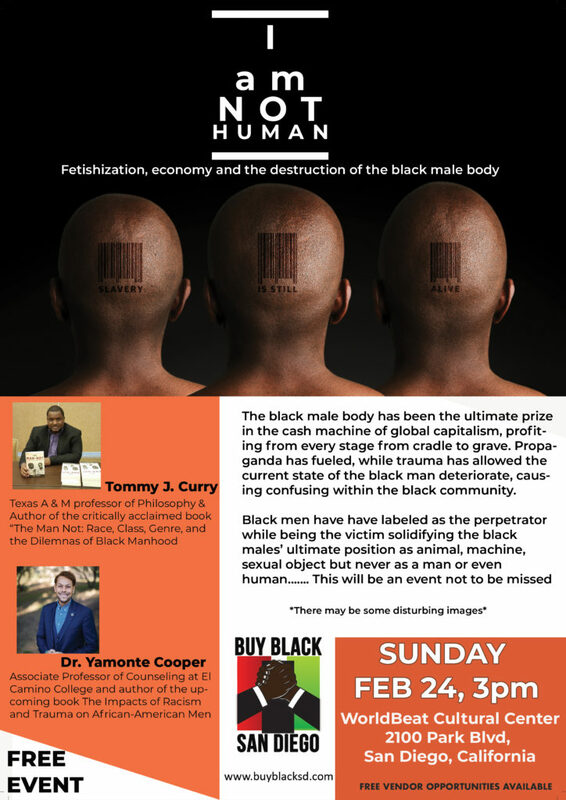 The black male body has been the ultimate prize in the cash machine of global capitalism, profiting and pleasuring from every stage from cradle to grave. Propaganda has fueled, while trauma has allowed the current state of the black man deteriorate, causing confusing within the black community. Black men have have labeled as the perpetrator while being the victim solidifying the black males’ ultimate position as animal, machine, sexual object but never as a man or even human……. I am excited to attend this wondeful event.